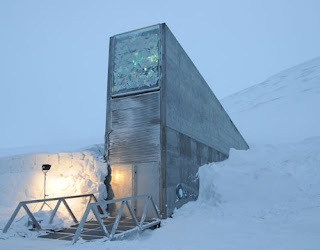 In a time when apocalyptic thinking is in vogue with dire threats of global warming, asteroid attacks, nuclear holocausts, desertification, coastal flooding, climate change, financial collapse, and terrorism, a "Doomsday Vault" near the North Pole seems appropriate. The Svalbard Global Seed Vault is the biggest and coldest seed bank in the world. Located just below the North Pole in Spitzbergen, Norway, it's large enough to contain four and a half million seed lots from all over in the world, stored at -0º F.
As a seed bank, it's insurance against a catastrophe which would wipe out food production world-wide. Fundamentally cold storage, it's a high-powered, super-duper refrigerator dug into the side of a permanently frozen mountain with a refrigeration unit to assure a -0º F. temperature. Another Noah and the Ark operation, only with seeds rather than animals, the Millenium Seed Bank in Sussex, England, cold banks seeds from wild plants throughout the world just in case the wild plants are wiped out in a climatic Armageddon. Surprisingly, Northern Arizona has a seed bank, too, not dug into Mt. Humphries, but cozily sitting inside NAU's Research Greenhouses. It's actually a maximum, industrial-sized, stainless steel refrigerator kept at -10ºF, supervised by none other than Brad Blake and Phil Patterson. They're saving seeds of ponderosa pines and several other trees in the mountains of the Southwest, preparing for the next catastrophic wildfire, parasitic infestation, or some as yet unknown plague. A bank without tellers or loan officers, the Research Greenhouses' refrigerated seed bank does, however, offer insurance on mortgaged futures. Apocalyptic thinking differs from prophetic thinking in that it offers no hope, only mayhem, catastrophe, and destruction as in lethal injections, the Beast of the Apocalypse, Noah and the Ark, and Avatar. Prophetic thinking doesn't predict the future but rather offers hope for the immediate future, maybe even long-term, as when Dr. Martin Luther King, Jr., said, "I have a dream." 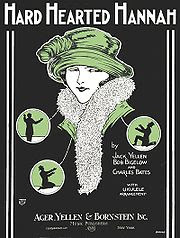 His theme was "redemption follows repentance," instead of a nightmarish "Burn, Baby, Burn." Brad and Phil travel the Southwest gathering pine cones from ponderosa forests for their refrigerated Ark, taking along with them an arborist to climb trees. Their seed bank contains ponderosa seeds from various and varied places in the Southwest as well as other pines, such as Chihuahua, Apache, and Southwestern. The trick is to reseed a forest after a wild fire with seeds from trees native to the devastated land. If the forest near Strawberry or Happy Jack were devastated by insect or fire, it could be best reclaimed by seeds saved from that locale. The ponderosa pine can be found high on the San Francisco Peaks, the plains of Kansas, and the shores of California. However, ponderosa pine seeds from the shores of California wouldn't do well on the San Francisco Peaks. The principle is that all reforestations are best local. 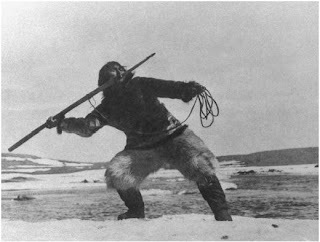 Robert J. Flaherty's Nanook of the North would've survived if he had been transplanted to Savannah, but it would be doubtful if Tin Pan Alley's Vamp of Savannah would've survived on the shores of Hudson Bay in Arctic Quebec. Brad Blake is American royalty, tracing his ancestry back Governor Bradford of the Plymouth Plantation by way of the plains of Kansas and the steppes of Arizona. Phil Patterson, MacTavish thrifty, is a flame-haired, jolly tall drink of water of Scot's descent. Both are savvy, keepers of the forest. Now, not all of their work is tending to their apocalyptic refrigerator. Much is prophetic as in "If you don't replace all those invasive water-sucking Saltcedar trees (Tamarix ramosissima) along our streams and rivers, you're shrinking our water resources during a drought." Repent to be redeemed, going native and save water. They grow native and adaptable plants for restoration projects throughout the Southwest. A pet project of theirs is the development of an aspen genotype garden on the NAU campus, the better to protect our aspens groves from drought or herbivores. They purpose to acquire genetic information to provide adaptability to the larger genome to help aspens cope with climate change. Also, they provide research facilities for the faculty and students at Northern Arizona University.